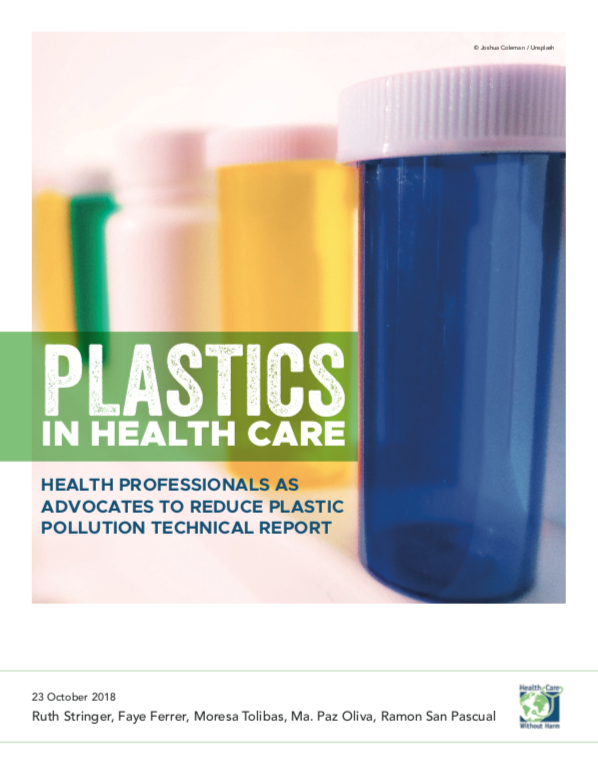 Taiwan boasts many hospitals and health facilities that are doing amazing work in reducing their environmental impact. 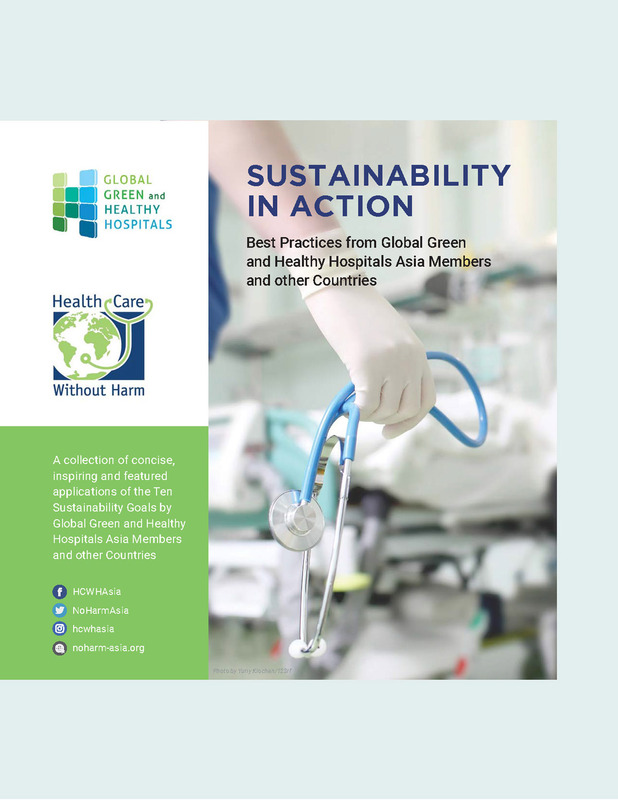 With 19 member hospitals and health systems in the country, the Global Green and Healthy Hospitals Asia team recently visited Taiwan to learn about the projects and strategies that GGHH members are implementing to achieve their agenda goals. 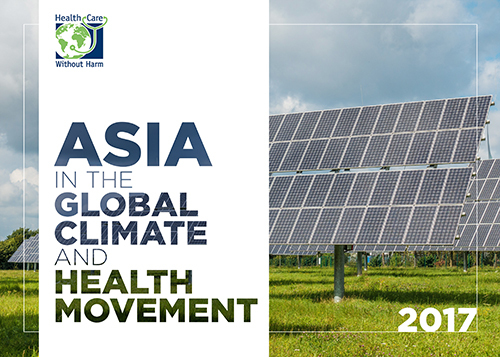 With the support of Taiwan's Health Promoting Hospitals (HPH) Network, the Global Green and Healthy Hospitals Forum was held on September 24 at the Taiwan Adventist Hospital. Representatives from over 100 hospitals and health facilities in the country attended to know more about how they can be a part of GGHH and presented their own sustainable health care practices. Health Care Without Harm-Asia's Director Merci Ferrer presented the organization's work in the region to promote environmental health, while GGHH Coordinator Faye Ferrer shared some of the work of GGHH member hospitals around the world in response to climate mitigation and adaptation. Ms. Miao-Shin Chen, Director of the Community Health Division of the Health Promotion Administration, encouraged Taiwan hospitals to be part of GGHH. 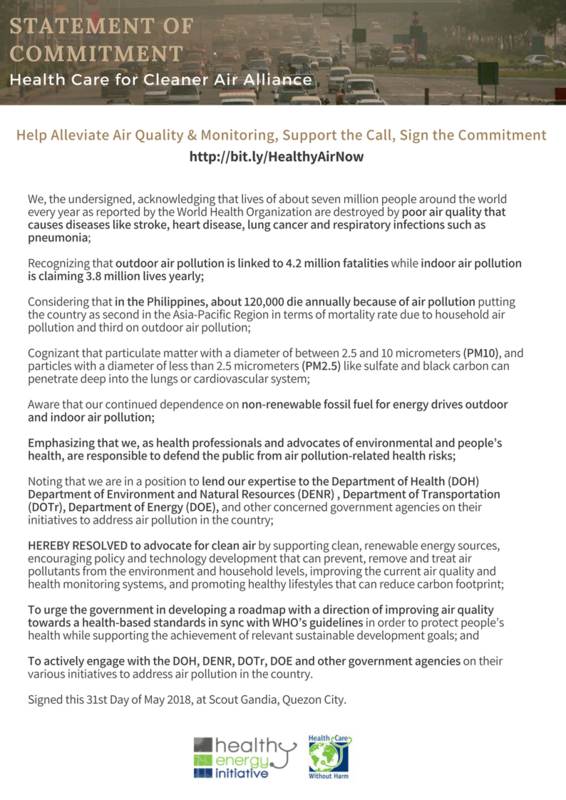 Dr. Chin-Lon Lin of the Task Force Environment of Health Promoting Hospitals emphasized the urgent need for the health sector to take a more proactive role in responding to climate change. Some of the issues raised by participants included the feasibility of using renewable sources of energy and the use of alternative waste management technologies. The Ministry of Health and Welfare's Health Promotion Administration (HPA) is responsible in guarding public health through the promotion of preventive medicine and healthy lifestyle, and by providing community health services in the country. Health Care Without Harm-Asia led by Director Merci Ferrer met with Director General Shu-Ti Chiou and her staff to share GGHH's visits in the hospitals and encourage the Ministry to support the promotion of non-incineration methods in managing hospital wastes. 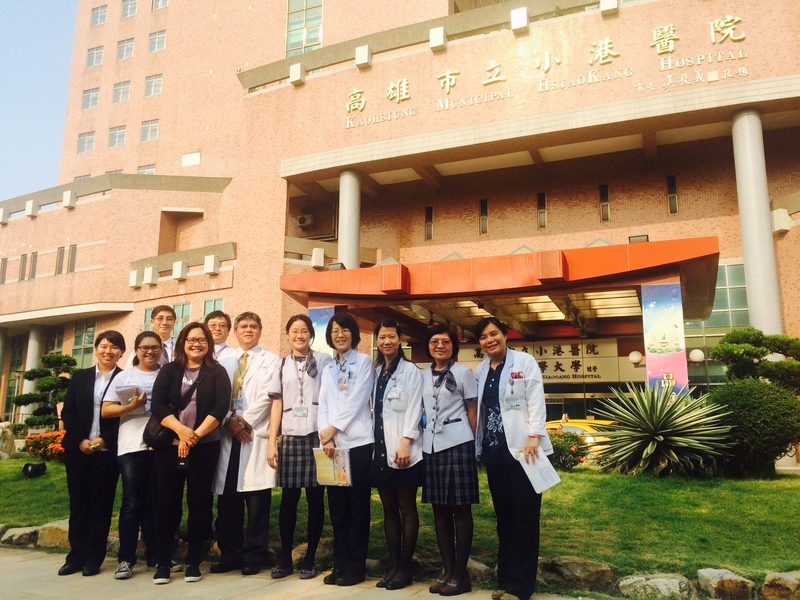 With the assistance of the Dalin Tzu Chi Hospital, GGHH visited seven (7) of its member hospitals in different parts of the country from Kaohsiung then Dalin, all the way to Taichung and Taipei. WATER: By recycling water, the hospital is able to save 6000 tons of water every month. Around 200 tons of used water saved daily is used for flushing and watering grounds in the hospitals and nearby university dormitory. This saves E-Da 42.5% of water annually. ENERGY: Hospital engineers have developed a Central Monitoring System which enables them to easily monitor any abnormality in the different hospital operation including airconditioning units, temperature, electricity and water. FOOD: The hospital hosts regular free public forums for patients and community members to promote healthy and sustainable food as well as the use of non-disposable foodwares. WASTE: KMSH has eliminated the use of paper through filmless X-Ray and the establishment of an Electronic Health System (EHS). LEADERSHIP: Employees of the hospital are given regular workshops and trainings on energy efficiency and proper waste management. WASTE: Out of confidential paper wastes, hospital staff make stationery products and soap which are showcased in an exhibit called the "Green Palace." These products are given as gifts to the hospital's many elderly volunteers. WATER: The hospital sources 35% of its water needs from its rainwater harvesting and water recycling systems.Gray water is used for toilet flushing and watering plants around the hospital. 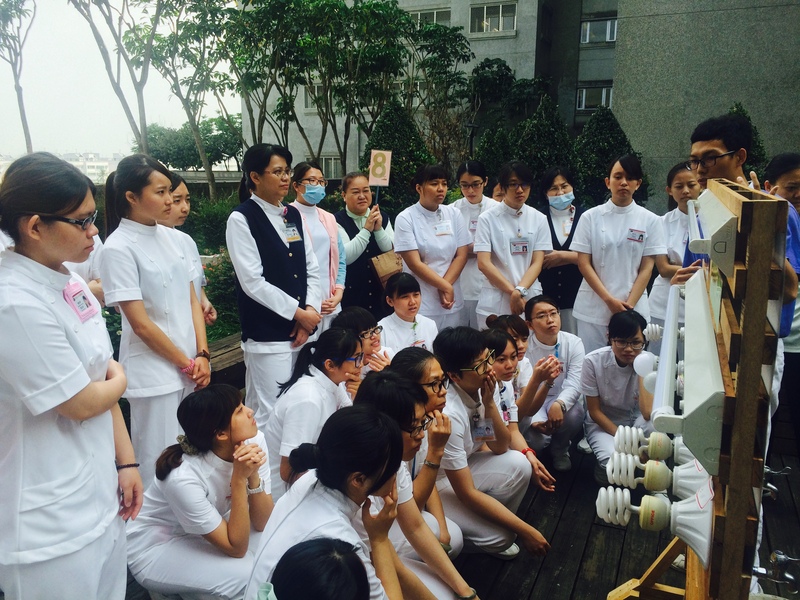 FOOD: Like other Buddhist Tzu Chi Hospitals, Taichung Tzu Chi Hospital implements a strictly plant-based diet among patients and employees and refrains from using disposable wares such as plastic cups and chopsticks. 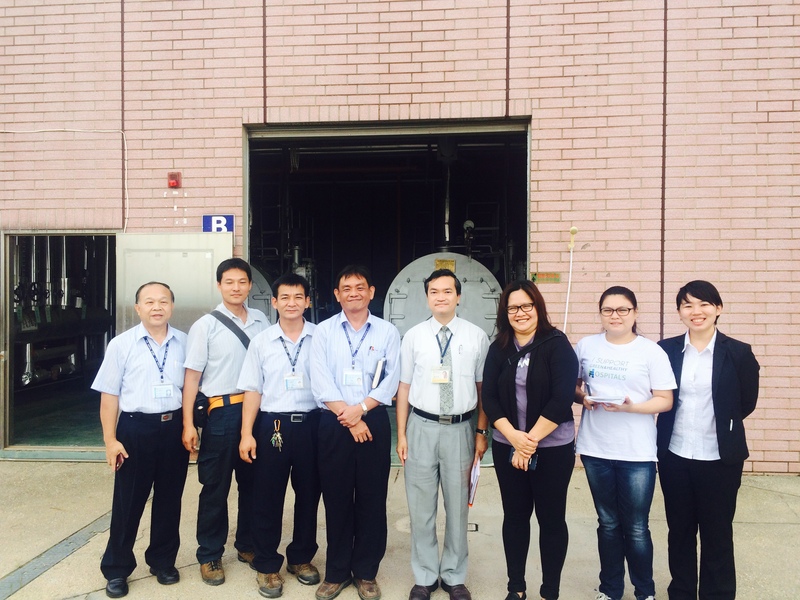 ENERGY: By developing energy management policies with reference to the most widely used international energy management system standards and existing laws for Taiwan hospitals, CMUH was able to achieve 10% reduction in water, natural gas, diesel fuel, electricity, and waste in 2013. TRANSPORTATION: The hospital provides shuttle service to its patients and staff to and from different strategic points in the city. ENERGY: To help achieve its carbon reduction and energy efficiency goals, Linkou Chang Gung Memorial Hospital has procured energy-saving designs for its new state-of-the-art Proton Building and Radiation Therapy Center. The Proton Building is the first building in Taiwan to receive the LEED Green Building Certification. BUILDING: To utilize natural lighting while minimizing outside noise, the building uses green barriers to block noise and visual pollution. ENERGY: By replacing old lights with LED ones, the hospital was able to save up to 70% of electricity consumption. From 2011 to 2014, the hospital was able to reduce the use of electricity from 31,881,600 to 30,659,200 KWh, through the replacement of lights, the use of natural gas, and by cooling ice for the airconditioning system during the night time when energy demand is lower and cost is cheaper. WASTE: The hospital recycles and sells its general waste and the income of around NTD 100,000 a month is equally distributed among employees.